The word "Heresy" comes from a Greek word meaning "choice." If you've been called a heretic because you've had a thought or opinion at variance with the party line—Cheer up! 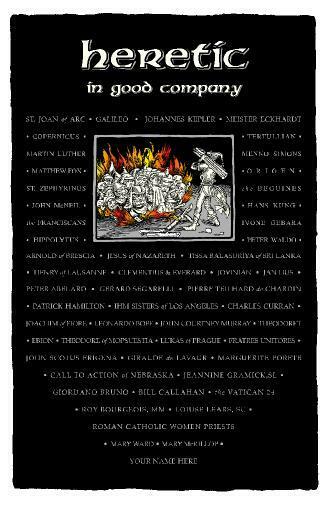 You're in good company: Popes, scientists, saints—even Jesus himself— have all been accused of heresy. Sometimes those who tried to stop "choice" by burning the "chooser" were later themselves condemned in a further reversal of orthodoxy!